An electronic device used to summon security, police, or emergency services in situations where there is a threat to persons or property. 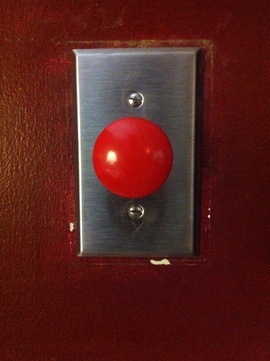 Some panic buttons are equipped with closed circuit television so that the emergency event can be recorded. Professionally monitored systems run approximately $1,500 for a 2,200 square foot home. Monitoring fees cost around $500 per year. Wireless systems are generally less expensive since they can be installed without a professional. A low-end wireless system may only cost around $20, but the best systems can run $500 and up.